Learn how to apply spray foam insulation and also safety techniques to keep you, your crew, and your customers safe. Why become a authorized spray foam installer? 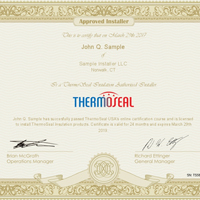 ThermoSeal provides online and on-site spray foam training and 24 x 7 support to all our partners. We also offer significant discounts on spray foam, coatings, equipment, and parts to all of our authorized installers. ThermoSeal gives its installers a tremendous advantage over the competition by offering more densities and qualities of spray foams than any other company in the industry. 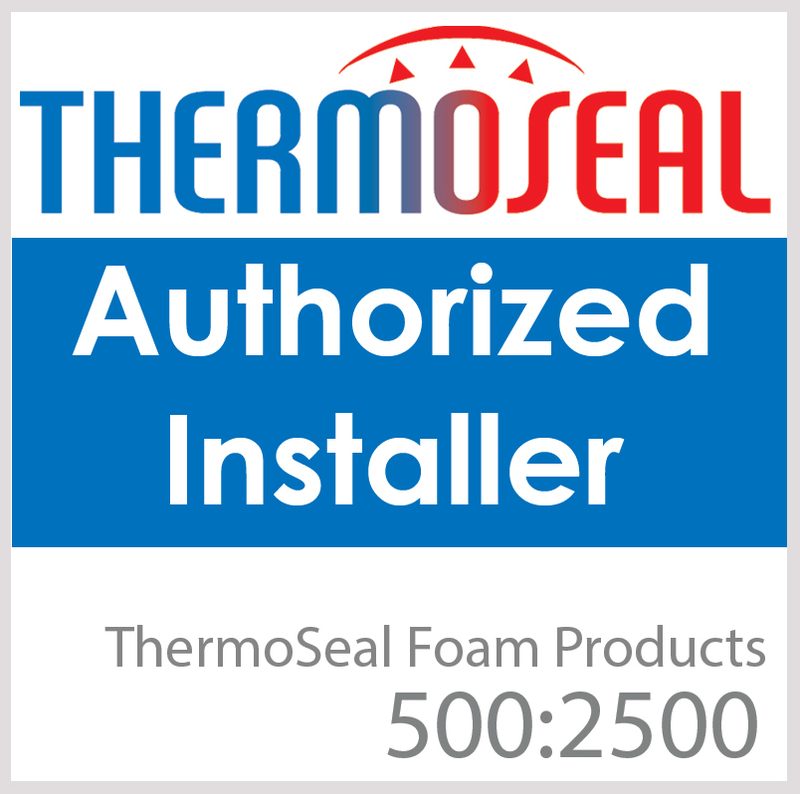 Authorized installers can become successful rapidly by using ThermoSeal's unique brand name of quality products. Our quality of spray foams will help installers win more jobs by offering a competitive advantage and a better fit for the building owner by using the right foam for the job, or multiple foams for one job to reach the owners objectives. Register online with your business information. 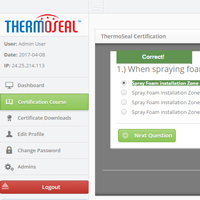 After you confirm your email address you will be automatically taken to the spray foam training portal to complete the course. Registration form here. Complete the spray foam training course on your own time, online. Its accessible on your computer, laptop, or tablet. All you need is a browser and an internet connection. Already registered? Login form here. Once you complete the online spray foam training program, you will be able to instantly download your authorized installer certificate. No waiting for it to be mailed or driving to pick it up. Why choose ThermoSeal's Training Course? Our spray foam training program is second to none. Learn from professionals with over 40 years of professional industry experience. Not only will you learn how to apply spray foam insulation but also safety techniques to keep you, your crew, and your customers safe. Once you complete the training program, we will provide the widest assortment of products available like ThermoSeal USA foam products, ongoing marketing and sales Support, homeowner financing for spray foam insulation through certified partners, unlimited technical assistance, product availability, and lead generation. Read below for other key features of our spray foam training program. When we receive project request or someone looking for a referral, we will point them your way. Helping installers with free leads is our way of thanking you for your support. We typically look into our authorized installer database and refer the potential customer to a local spray foam insulation installer. Register by Thursday April 25th and get 10% off your first order of ThermoSeal Spray Foam Insulation once you complete your online training course. We provide a 100% free online spray foam training certification program. There are many companies out there that require you to pay thousands of dollars, but we beleive our investment in technology to provide insulation contractors free online training will help us improve the spray foam industry by creating more educated and professionally trained installers. Technology has improved so much in the last several years that we are able to provide the same on-site spray foam training, except now its 100% online. Why travel hundreds of miles to an on-site foam training location when you can get trained online. Complete the spray foam training on your own time over the weekend or when its conveninet to you. Learn industry standard spray foam safety techniques. Safety training is of utmost importance to us as it should be to you and your employees and customers. In the spray foam training course you will learn key spray foam techniques to keep you compliant and safe. Not getting properly trained can be a financial liability as well as dangerouse to lives. You will learn proper techniques to apply spray foam. How to use and maintain your spray foam equipment. By following the key principals you will learn how to to apply spray foam more efficiently which results in less mistakes and higher profits for you. You will receive instant feedback during your spray foam training. Each question will be answered one by one to not just tell you the answer is incorrect, but to help you understand what the correct answer is. Once you complete the spray foam training program you will be able to download your official authorized installer certificate. Check out articles on equipment maintenance, troubleshooting spray pressures, as well as other case studies and valuable industry information.